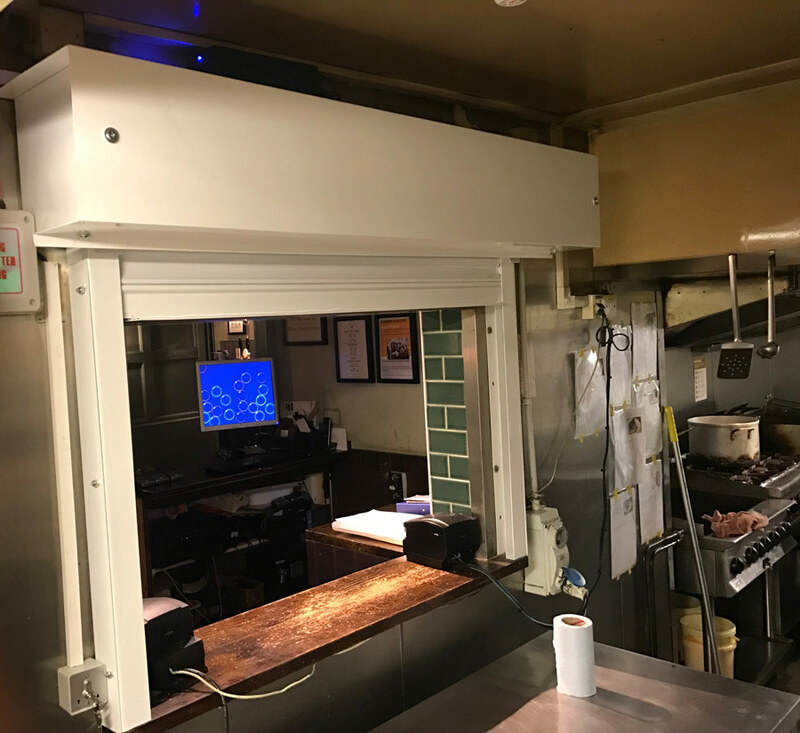 An interior fire shutter fitted at the White Hart in Chipenham. The opening is a kitchen servery and the fire shutter was powder coated to suit the interior. 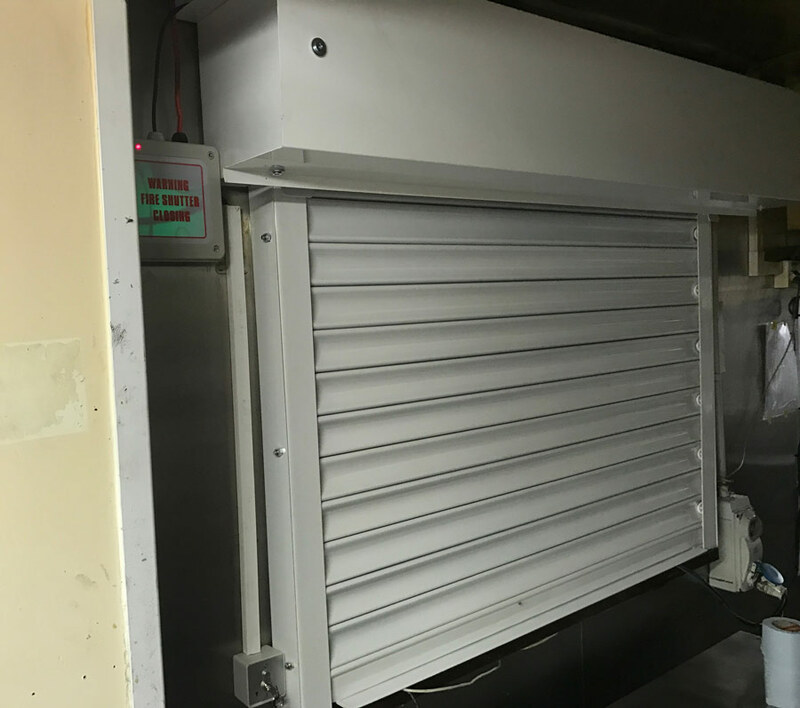 Fire shutters provide safety for your establishment and help you maintain safety regulations. If you would like to know more about fire shutters or any of our other products, please don't hesitate to contact our friendly team here or call 0161 272 9333.